We hope that you have found our website informative. Do send us your feedback and queries for us to serve you better. 3rd Floor, Nguyen Lam Tower, 133 Duong Ba Trac Street, Ward 1, Dist. 8, Ho Chi Minh City, Viet Nam. 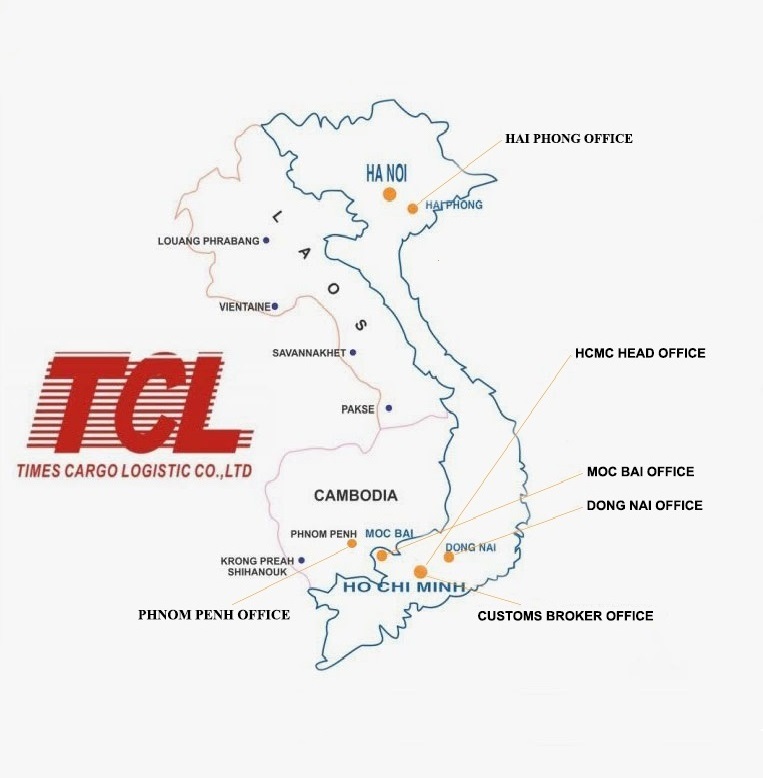 Branch Office: Orkide Villa (St.2004) #TC11, St. LyLy, Sangkat Ou Bek Kaaom, Khan Sen Sok Phnom Penh, Cambodia. Have an enquiry about our logistics services? Complete the form below to get in touch. Orkide Villa (St.2004) #TC11, St. LyLy, Sangkat Ou Bek Kaaom, Khan Sen Sok Phnom Penh, Cambodia. Copyright© 2016 TCL. All Rights Reserved.